Keep North Attleborough Beautiful is committed to supporting and nurturing the community of North Attleborough, Massachusetts. North Attleborough is proud to be an affiliate of the Keep America Beautiful network. The Farm to Table Initiative (FTTI) is a program that allows for fresh, organic food to be grown and given to local restaurants. Attleboro High School (AHS) has begun its own FTTI, which has been providing greens to their Culinary program. Read more HERE. 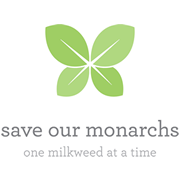 Save Our Monarchs is the only Foundation solely dedicated to saving the monarch by planting more milkweed. Our motto is: One Milkweed at a Time. Save Our Monarchs is partnering with garden clubs to distribute milkweed seeds, the sole source of sustenance of the monarch caterpillar. To obtain milkweed seeds or make a donation, visit our WEBSITE. North Attleborough - What Can and Can't We Recycle? Post by Massachusetts Association of Conservation Commissions (MACC). Post by Patriot Subaru of North Attleboro. Post by DoubleACS TV 15. Post by U.S. Environmental Protection Agency. The Attleboro Land Trust is a non-profit organization dedicated to the permanent protection of open space and habitat through advocacy, education, and the acquisition and management of conservation land in the Attleboros.